Just griming out a win…. After a 60-minute slog that featured a dearth of points and few highlights, the New England Patriots are Super Bowl champions for the sixth time under the leadership of Bill Belichick and Tom Brady. In the end, it was too much Brady, Julian Edelman (141 yards receiving), Rob Gronkowski and rookie Sony Michel. And way, way too much Belichick. With the coach cooking up defensive schemes that thwarted the Rams’ high-octane offense, the Patriots finally broke through with a touchdown with just over 7 minutes left. 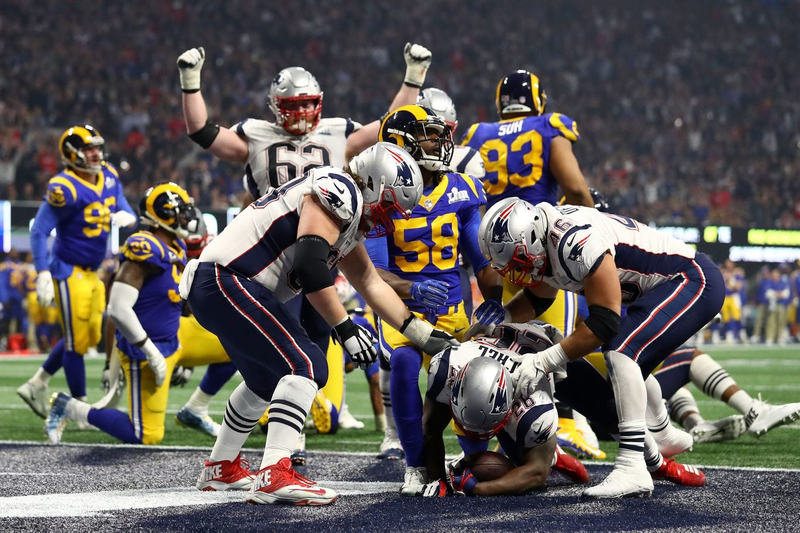 That, coupled with Stephon Gilmore’s interception on the Rams’ next drive, gave the Patriots the only real momentum of the game and they went on to win their sixth championship in nine trips to the Super Bowl, beating the Rams 13-3. The victory came against the Rams on the 17th anniversary of the beginning of the Brady-Belichick dynasty, their victory over the Rams, then of St. Louis. After the win, Brady shared a long hug with owner Robert Kraft as CBS’s Tracy Wolfson fought for an interview. “We fought through it more than anything,” Brady said. “What an unbelievable year.”…. The Patriots’s place-kicker, Steve Gostkowski, also deserves some credit. Six of New England’s 13 points came from field goals, and, while I don’t know enough about American football, it seems that some of his first-possession punts were also important. The game was a defensive one…. Confirmed by the low score…. But as they have for ten years? The New England patriots find a way to win…. I saw this in the end as TALL pass receivers being able to beat slightly smaller defensive pass coverage guys….